Possibly one of the most important shifts needed in schools is to provide individualized and personalized learning experiences to students. Learning has fundamentally changed with the evolution of the Internet and other technologies that allow for ubiquitous access to information and knowledge. Digital leadership focuses on transforming learning environments through online course offerings (synchronous and asynchronous), independent studies, and use of OpenCourseWare to provide students with continuous options to learn anytime, anywhere, and about anything. Infusing online learning opportunities should be a given in a digital world. There is no excuse not to secure funds to better meet the needs of all learners or those with specialized interests. States that do not have their own online course consortia can become a member of the VHS Collaborative or use Educere (K-12 solution). Either pathway to online courses opens up an existing course catalogue to hundreds of additional niche courses that cater to specific student interests. In the case of the VHS Collaborative, it offers more than 200 courses taught by certified teachers, including virtually every Advanced Placement course accredited by the College Board. High school leaders can make these available to students to take on their own time in addition to the courses they take at their home schools. They can also insert them into their existing class schedules in lieu of electives. Either way, the result is expanded course offerings and learning opportunities for students to personalize and individualize their educational experience. Prestigious centers of learning are making good use of the Internet’s power to share knowledge in the form of OCW. OCW can best be defined as high-quality digital publications created by leading American universities that are organized as courses of study, offered free of charge, and delivered via the Internet. OCW courses are available under open licenses, such as Creative Commons. These courses allow for personalization of studies as students explore topics of their choosing. The Independent OpenCourseWare Study (IOCS) that I co-created with Julie Meehan when I was principal at New Milford High School represents an uncommon learning experience for secondary students that allows them to fully utilize OCW to pursue learning that focuses on their passions, interests, and career aspirations. IOCS is aligned to Common Core, ISTE's National Educational Technology Standards for Students (NETS•S), and state technology curriculum standards as well as the Partnership for 21st Century Skills Framework. IOCS students choose from an array of OCW offerings from such schools as the Massachusetts Institute of Technology (MIT), Harvard, Yale, University of California at Berkeley, Stanford, to name a few, and apply their learning to earn high school credit. The IOCS experience is accessed through the IOCS website, which contains links to OCW offerings that are constantly updated. The site also provides an overview of the program, the IOCS Rubric, Frequently Asked Questions (FAQs), and a Google form through which students register for courses. Other documents, like periodic check-in forms, are also available on the site. Students choose an OCW course (or part of a course) from an approved, accredited university through the IOCS website. Using the IOCS Google registration form embedded in the site, they register for their course by identifying the institution, course number, and title. Sometimes, if the course is extensive or very advanced, students may decide to complete only certain parts of that course, in which case they identify what part(s) they agree to complete at the outset. This is taken into account when they are assessed for their work. Once they choose their OCW course, students engage in the activities provided by that particular unit of study. Learning activities vary widely from institution to institution and within disciplines, but coursework usually consists of one or more of the following: course lectures, which can be video presentation or texts; learning activities like experiments or open-ended questions; demonstrations; and interim and final assessments. Students apply themselves to these activities over the course of a high school marking period. Students receive individualized mentoring as they progress through their OCW course. Highly motivated, gifted students who have found their “perfect” course may need little guidance, while others may benefit from varying degrees of structuring and advice along the way. IOCS mentors check-in with students on a regular basis to gauge the level of mentoring intervention needed. In all cases, the advanced content and high expectations inherent in the coursework provide students with a glimpse into the demands that college poses and helps them prepare for their higher education. Students combine their creativity with their newfound knowledge to synthesize a unique product that demonstrates and applies the new knowledge and skills they gained from the OCW. The aim is that students go beyond a static PowerPoint presentation laden with mere text and pictures and produce an actual product, whether it is the demonstration of a new skill, the creation of a physical model, the designing and conducting of an experiment, the formulation of a theory, or some other creative way to show what they’ve learned (see the IOCS Rubric). The culminating IOCS experience for our students was a five to seven minute exposition of learning in front of faculty and IOCS peers. The work was assessed according to the IOCS Rubric. By developing a framework for the advanced learning opportunities that OCW promises, schools will enable gifted and motivated students to progress beyond the scope of their traditional secondary curriculum. A dynamic combination of mindset, behaviors, and skills is required for schools to become places where social media and digital tools are integral and beneficial parts of a rigorous program and where they work symbiotically with active, engaged, and applicable learning. How can we take the greatest advantage of this moment in time and create compelling and challenging learning spaces for students? Realize that social media is a predominant tool in the world. It fosters personalization, creativity, and collaboration, giving students infinite ways in which to create artifacts of their learning and knowledge. If 1:1 is not in the cards make use of devices students already have, know, and use. Bring Your Own Device (BYOD) signals to kids that teachers know and understand their basic makeup. Employing the energy surrounding personal devices allows them to use the tools that help them do what they do better. BYOD enhances learning, increases productivity, allows students to grow their research skills, and gives teachers the chance to teach appropriate digital responsibility. Create spaces for making, collaborating, and tinkering. Give students chances to build and create using real-world tools (wood shop, electronics, metal work, and coding stations) and to solve open-ended, real-world problems. Bring play back into the picture. These spaces provide students with challenging problems to solve where there is no one correct solution. Through self- directed learning, students are driven to find solutions to create a product that has value. Structure schools so that they more accurately reflect the real world. Ubiquitous connectivity, charging stations, and casual zones that promote conversation and play increase students’ sense of belonging and engagement. Digitally astute students engage through such models as blended learning, flipped classrooms, games, makerspaces, and virtual learning. Give students access to open courseware and open source technology. Inherent in these approaches is a high level of personalization and choice about what to focus on, which in turn leads to greater ownership over learning and personalized ways to demonstrate understanding. Ambitious, successful teaching and learning have become inherently intertwined with the digital world. Educators must be able to develop and enact rigorous, relevant instructional methods and formats while using digital tools effectively to underpin their instruction. Students and teachers can transform learning so that it not only prepares them to excel in academic life, but also endows them with essential digital age skills. International Center for Leadership in Education (ICLE). I believe that this a time when education can change in fundamental ways. The recently passed Every Student Succeeds Act (ESSA) will reverse the decades’ long trend of centralizing decisions about what students need to learn and how they must be assessed and put them back in the hands of local school districts as well as state education departments’ hands. The increase in federal regulations supported with financial incentives we have seen over the past several years will be lessened. Most notable are the provisions around Adequate Yearly Progress (AYP) moving back to the state and local districts. Now we will be able to act on our priorities, not simply driven by federal priorities that may not have been a good fit for our districts and schools. Of course, any piece of legislation has its merits and its drawbacks, but one hugely positive aspect of the ESSA is that it puts the onus back on the states and local districts to determine how they will monitor and evaluate student learning and progress. I believe that it is our obligation to make the most of the opportunity we have before us. This is our chance to collaboratively create indicators of achievement catered to the unique DNA of our state, district, and school. We have the chance to voice our own opinions and actually have them heard, respected, and applied to the process of overhauling the system and focusing on what matters most: students. Will you seek out the opinion of local school officials and will you empower them to make decisions based upon the community’s needs? Will you fall prey to the same strategic errors the feds made and believe you know best and shut out local community’s opinions and authority? Will you involve your community in the process? Will you include educators and parents—those on the ground—who possess the valuable insights that can inform wise choices? Will you compile and analyze local data to drive evidence-based decisions? Engage your local communities in respectful, honest dialogue to hear concerns, gather knowledge and ideas, and synthesize insights into your vision? Will you focus on students’ specific needs and your school’s unique DNA when making plans? 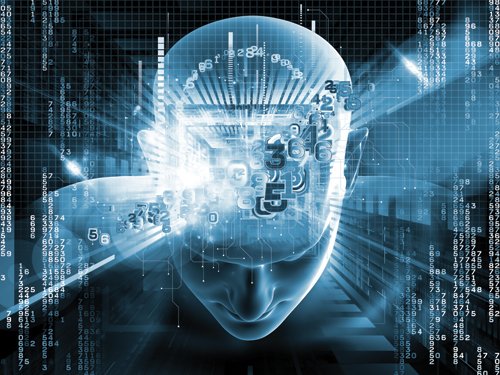 Will you use current data to drive decisions that fit future-focused goals? Will you determine new metrics necessary to monitor successful realization and impact of your fresh and systematic strategies and initiatives? Will you identify multiple new and cutting-edge indicators of student learning and growth that speak to the development of the whole child, not just a test-taker? Let’s toss out the existing rules and write new ones. Let’s tear down the outdated system and rebuild on a foundation that looks to the future— not the past— for ideas and inspiration. The 2016 Model Schools Conference is the place for exploring ways to innovate out of the old model and construct a system that’s set up strategically to prepare our students with the skills they need to excel in a complex world. We will share inspiring stories from disruptors in our own field who have reclaimed the mantle of student-centered learning and are building a progressive system around it. Using the experience of those who have had success creating new structures as well as the inspiration and motivation of those who are just beginning, we will provide practical, exciting tools to create a culture of innovation. For information on the Model Schools Conference and to register click HERE. Just because today’s students have grown up in a technology-rich world does not mean that they know how to effectively and responsibly utilize technology. It is a common misconception that today’s learners can seamlessly transition from the routine use of devices for personal reasons to using them for learning, research, and enhanced productivity. We routinely hear how students use digital tools inappropriately for sexting, cyberbullying, cheating, video recording teachers and fights with peers, and plagiarizing. Unfortunately, these behaviors materialize as schools are not doing their part to educate students on digital responsibility, citizenship, and creating a positive footprint online. When I was principal at New Milford High School, we have made it our responsibility to integrate digital responsibility across the curriculum. Our program began early in the school year with assemblies for every grade level. During this time, we presented the root causes of cyberbullying as well as strategies and advice to prevent it. We then transitioned into online conduct in social media spaces and how that can impact college acceptances and employment. During this part of the presentation, I pointed out to students the fact that once they post something online (i.e., comments, pictures, videos, etc. ), that information can be accessed, adapted, archived, and shared by anyone who has access to their accounts. Near the end of the presentation, I asked each student to Google themselves and share any content they discovered during the search that they were not aware of. It is at this point that reality really set in. In addition to a presentation early in the year, we consistently integrated digital tools (social media, Web 2.0, mobile devices) throughout the school year to enhance learning, improve productivity, develop critical digital literacies, and to conduct sound research. As students actively used these tools to connect, collaborate, contribute, and create, they were not only developing media literacy skills, but also learning in a safe, transparent fashion. Teachers also worked with students to properly cite resources pulled from the Web, giving proper credit when they saw it was governed by a Creative Commons license. As they published their own work in the form of learning artifacts, they begin to create a positive digital footprint that they could be proud of. The systematic integration of technology, modeling of effective use by school staff, education programs for both student and parents, and an immersive culture (1:1 or BYOD) all aided in educating students on digital citizenship. Common Sense Media offers a free digital literacy and citizenship curriculum that leaders can easily begin to implement in their schools. In an ever increasing digital world our students need us more then ever to not only help them make sense of a tsunami of information, but also more importantly how to be safe and responsible. Don't assume that these vital lessons are happening at home. It is the responsibility of schools to educate all learners regardless of age on these important topics. What are you and your school/district doing to address this? Are your current programs and initiatives up to par? Schools that work for kids make it their obligation. 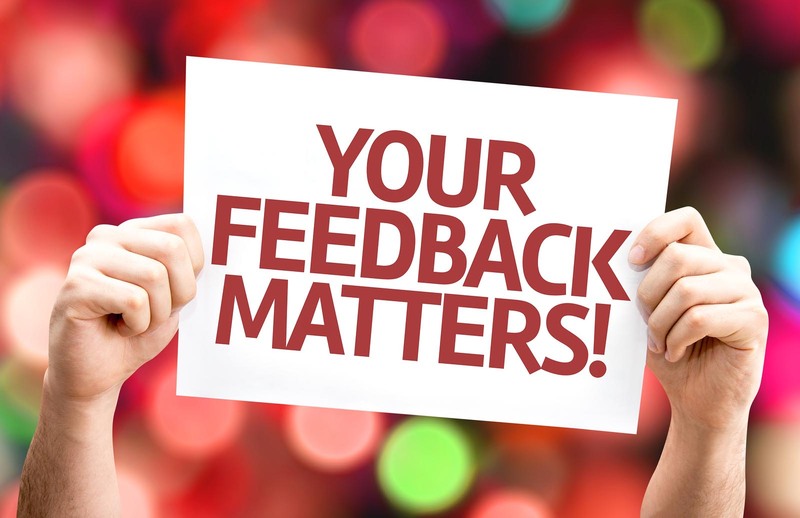 Throughout my professional career as a teacher, administrator, author, and presenter, feedback has been and always will be a powerful conduit for growth. There is nothing more vital to our professional roles than good feedback that paints a picture not only of what we are doing well, but areas where we can either become much better or outright improve. It helps us to develop both goals and objectives that guide our work in our respective roles. As important as quality feedback is to our success the use of criticism can set us back ten fold. If growth and improvement are the ultimate objective it is imperative to know the difference between the two. A recent event led me to ponder the role of feedback and how it's misuse often leads to criticism, not of a constructive nature. In late 2015 I presented at a national conference after my proposal had been accepted earlier that year. This was the fifth time I had presented at this event and I always found the experience to be rewarding. During my session there were about thirty attendees for the two-hour block of time that I was allotted. In my opinion I started off a bit rocky as Arne Duncan arrived to the event late and his talk caused many attendees to arrive to sessions late, including mine. It is a bit of a challenge as a presenter to have people rolling in when you are well into your presentation. Even though I didn't start the way I had wanted I eventually hit my stride and had a great session. The group seemed very engaged and I received a great deal of positive verbal reinforcement at the conclusion of the presentation. Numerous attendees also followed up with me through email to take advantage of additional resources I mentioned. A few weeks passed and I received word that session feedback was available online. I always look forward to this, as many times I never receive feedback from the keynotes I do. As I logged in I quickly noticed that only one person had taken the time to fill out the brief form, but I was still eager to view the comments. My eagerness to learn how I could improve quickly turned to utter disappointment as all this person did was give me the lowest rating possible (1 out of 5) for every category. I was particularly taken back when this person said that I should not be considered as a presenter at this conference in the future. My issue here is not that I received a poor evaluation, but that there was no commentary on what I did wrong or how I could improve. As a professional committed to improving his craft, I have absolutely no idea why the person rated me the way he/she did. My work was criticized and in the end I received not even an ounce of feedback that could be used towards reflective growth. Talk about not only disappointing, but also equally frustrating. Now think about how a student must feel when he/she is given back graded work with just a letter or number. Or how a teacher or administrator feels when evaluated with a checklist that contains no substantive narrative to accompany the check marks that can guide improvement. To me this is just another form of criticism. As Abraham Lincoln once said, “He has a right to criticize, who has a heart to help.” While constructive criticism can be a catalyst for improvement, nothing is more powerful than targeted feedback. Feedback - information about reactions to a product, a person's performance of a task, etc., used as a basis for improvement. Criticism - the expression of disapproval of someone or something based on perceived faults or mistakes. My point here is that it is easy for people to criticize while much harder and noble to provide quality feedback to enhance professional practice or learning in the case of our students. There is such power in feedback as articulated by Fiona Lang. "Feedback is the cheapest, most powerful, yet, most under used tool that we have at our disposal. Feedback is powerful as it helps people get on track, it serves as a guide to assist people to know how they and others perceive their performance. Feedback can also be very motivating and energizing. It has strong links to satisfaction and productivity. People like to feel involved and identified with their organization. Feedback can help achieve that state." This synopsis shows the vital importance of feedback to all us regardless of our roles. While we all need to be able to effectively handle criticism, a genuine focus on providing valuable feedback can help move others in a better direction.